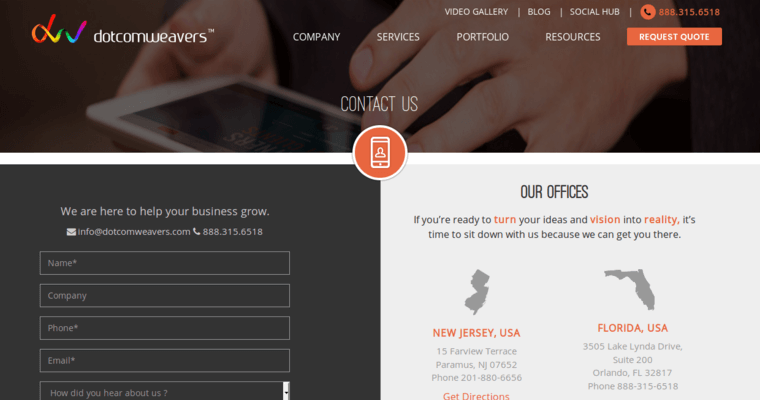 The history of Dotcomweavers can be traced to 2007, when two ambitious businessmen decided to create an IT agency in Paramus, New Jersey. 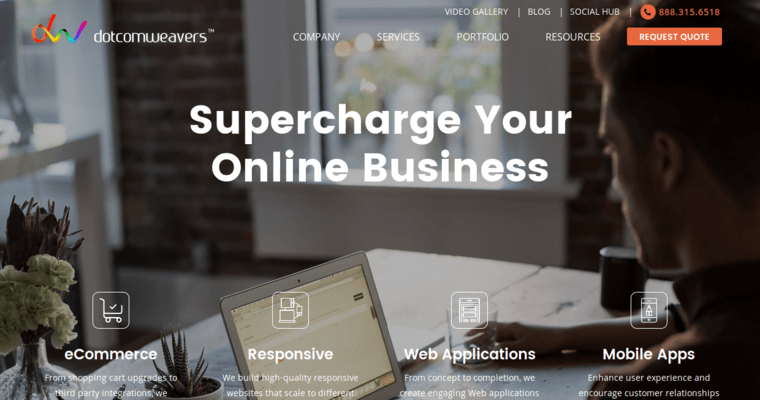 This web design company now has studios in Manhattan, New York City and Orlando, Florida. Additionally, the founders decided to open an office in their homeland. Located in Hyderabad, the office is primarily used to serve clients from India and other neighboring nations. 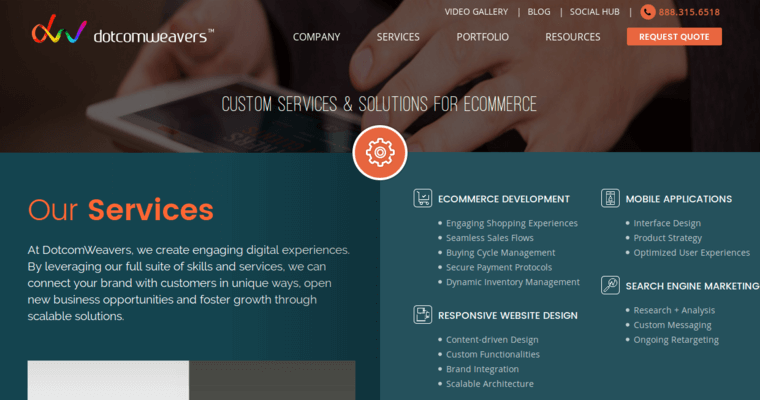 Dotcomweavers takes great pride in utilizing open source technology that does not cost a single penny to deploy. HTML5 is the main markup language that is utilized to build the framework of any given domain. This source code has to comply with the latest standards that have been published by the world's IT leaders, including Google, Microsoft and IBM. Therefore, it's only natural for in-house developers to be familiar with the ASP.NET framework, Objective-C, Python, Ruby on Rails and many other programming languages with universal status.